People who look out for jobs are aware of the cut throat competition present in the job market at present. Several unemployed people are looking for their desired jobs but the reality is that only lucky ones are able to get a job of their calibre and dreams in today’s time. 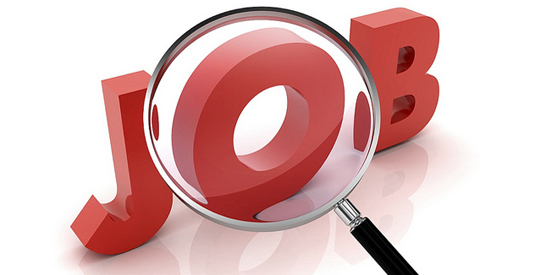 It is important for job seeking personnel to select the right job field to get right job satisfaction. The truth is there are many places where an individual can look out for jobs but one of the common places is via the internet. The availability of job search engines and WordPress blog means that there are higher chances of looking out for our dream job, but this one fact could be confusing as well. Thus, the challenge for people seeking job is to look for job online that suits his need. The most crucial action is that person should perform thorough research before choosing a particular job search engine wherein he can find job suitable for its profile. The first step is to decide what job the individual wishes to apply for. This is greatly recommended because it allows you to focus on the main aim. An individual seeking job can browse through several job categories and job descriptions to get a detailed understanding of the scope of the work and requisitions of the job offered by companies. Checking out quality articles and quotes from different companies will surely help. In this way, he will surely find a job that will lead him toward the right career path. 2. The second step is to make a resume. The individual seeking job should upload his resume on the job searching engine and post his resume for a job position or any particular company. Individuals should go for personalised resumes for every job they plan to apply for. Different resumes should be prepared for governmental jobs and private offices. Always make sure that your resume entails complete job description of the required job positions offered by the companies. 3. The third step is that jobseeker should come with a good heading for their resume. This will attract the attention of the interviewer. It should entail the personal skills and knowledge of the jobseeker and provide right details about his educational details and work experience for the job position.When selecting amongst job search engine, individuals should remember to look out that the selected job engines have a job field which could allow easy employment. Creation of a unique, appropriate and good profile is equally important. The profile should have your contact information, picture and detailed information. As you progress, you should update your profile from time to time. Thus, choose a reliable job search platform and find jobs that suit your requirement and capabilities. You can also check out atoosi a good site with useful information. You shall get great benefits through this in shaping your future in the right manner. Make the right move now and get an appropriate job for you.